Caring for an older adult is a stressful, exhausting job. It can also be an isolating experience if none of your friends or non-caregiving family members understands what you’re going through. A caregiver support group is one of the best places to go when caregiving feels overwhelming and lonely. These groups reduce stress because you get a chance to talk with people who really understand, vent frustrations, get useful advice, and find out about local resources. But what happens if you attend a group meeting and find that you don’t really like the group or didn’t feel a connection? Don’t give up hope! Every support group has its own personality and the first one you try might not be a great match for you. There are many options out there and it’s worth the effort to find one that suits you. We’ve got 4 tips to help you find a wonderful caregiver support group that feels just right. Consider going back to that group one more time. Maybe that specific combination of attendees didn’t work for you, but people come and go so the next meeting could feel completely different. 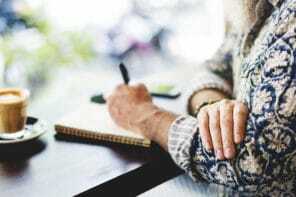 Ask local hospitals, senior centers, or the Area Agency on Aging (Tip: enter zip code only to search) for a list of all the support groups in your county. Trying different groups increases the chance that you’ll find one that’s a good fit. Keep an open mind even if the description doesn’t exactly match your older adult’s condition. Specific medical conditions – dementia, stroke, heart disease, breathing problems, etc. Instead of going to a group, you might prefer speaking with someone one-on-one. It’s important that the person you choose is able to focus on listening and providing the type of support you need – not criticizing your actions. There are excellent sources of support available online. Even if you don’t meet people face-to-face, many say these groups soon start feeling like family. For example, Memory People on Facebook is a great community of people who are caring for someone with Alzheimer’s or dementia. 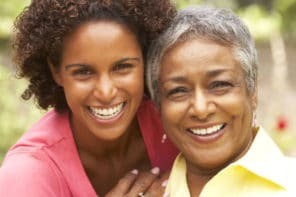 Additional wonderful private groups on Facebook include Caregivers Connect, Caring for Elderly Parents, and Sandwich Generation. They’re all free – just request to join. These are great groups, but as with everything online, take the usual precautions when speaking with people you don’t know. Stay safe by not sharing any personal information, especially your address, social security number, or financial information. I live in Gloucester, Ma. I’ve been a 24/7 caregiver for my husband, 79 yrs. old. he is at the end stage of COPD. In and out of the hospital, need oxygen all the time. does inhalers, nebulizers, concentrators non-stop. I’ve developed high blood pressure because of the stress. He is presently in a nursing home, he won’t except the reason why he is there. It’s always someone else’s fault. He has a way of making me feel guilty. I’m looking for a place nearby where I can go and listen maybe talk about what I’ve been dealing with for so long. I feel that I’ve lost myself. I’m so sorry that you’re going through this. You’re doing everything you can for your husband and have the right to take care of your own health and well-being as well. He’s in a place where he’s getting the care he needs. Unfortunately, he’s not able to be appreciative and understanding of this decision. Try to remind yourself that you’re doing the right thing. But of course, it’s hard to hear his complaints. I started with Memory People which was a great beginning. As I learned more I joined other groups Alzheimer’s, Dementia and Caregiving. I am in contact with the nearest Alzheimer’s society and often check their calendar. Needs change. I found an online café for a while. I also found free courses in video on topics such as Alzheimer’s, Caregiving, Self-care, Depression. There are even 24 hour groups on line. I also started connecting casually with individuals and couples through regular activities – dances, art, fitness facility, aquatics classes. I am discovering a whole world of people who understand more about dementia because someone in their family has it. I am sure you will find the two or three people you who will be there when you need them. I’m so glad to hear that you found so many great sources of support! It’s great that you branched out to so many different areas and found people who are supportive.